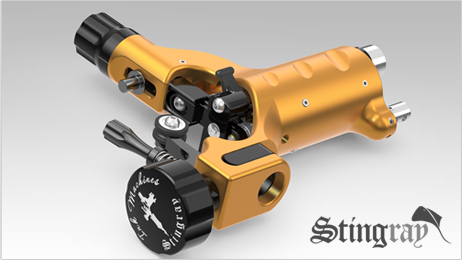 We are proud to present the Stingray tattoo machine. 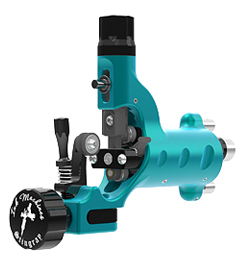 Although the Stingray Tattoo Machines looks very similar to the Dragonfly it is a completely new type of tattoo machine with a Desmodromic roller cam system. The new cam system enables to create a needle motion that is perfect for lining and color packing. Like a coil machine but without the weight, the aggressive sound and naturally with greater precision and consistency. The cam system allows you to change the stroke length and also the ability to totally change the characteristics and behavior of the machine by changing to different cams, the standard version comes with a 3.5mm stroke. Changing the cam is easy and takes only a few minutes.